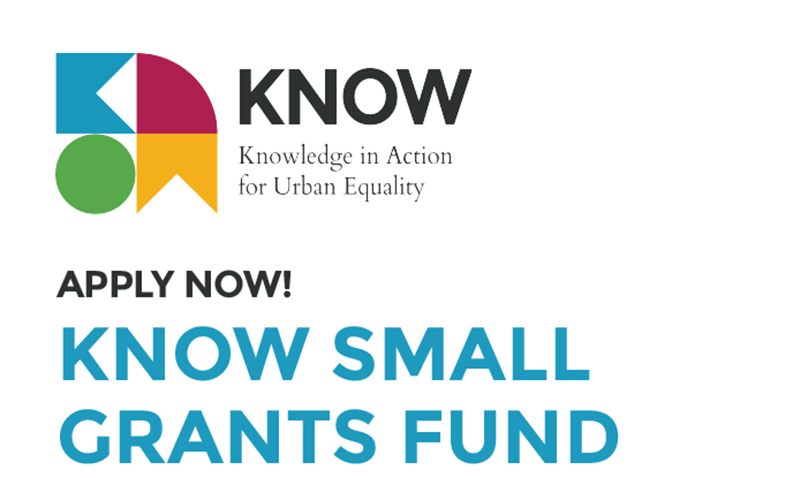 We are pleased to announce the opening of the KNOW Small Grants Fund. The Fund will award grants that enable UK-based scholars at UK universities, policy research institutions, and NGOs with a research portfolio to conduct research relating to the theme of urban equality. Applications are welcome from early-career, mid-career, and senior researchers. Applicants will be required to prepare a research proposal that relates to the theme of urban equality in one of the KNOW partner cities and to the priorities of a local partner. The Fund supports interdisciplinary inquiry and we welcome applicants from a range of academic disciplines. and a signed Declaration (found in the end of the application form).